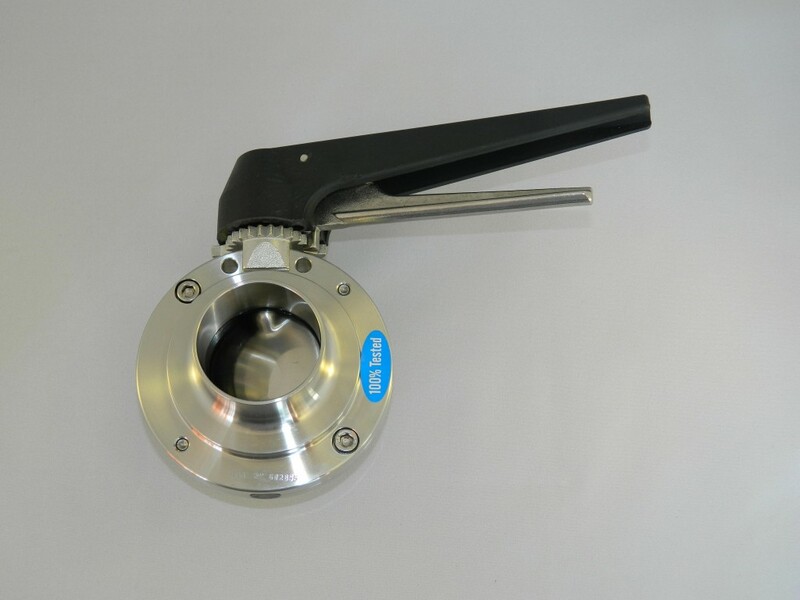 BDE Butterfly valves are stocked in sizes 1″ to 6″ with standard ends to suit hygienic tube or RJT unions. BDE can fit various union ends in house e.g. Clamp, IDF, DIN, SMS. Stocked as standard with nylon reinforced black 12 position handle, and EPDM seals. Optional handle and seals are available.